Learn musical chords, scales and jazz modes. Is there a better alternative to Chord King? Is Chord King really the best app in Music category? Will Chord King work good on macOS 10.13.4? 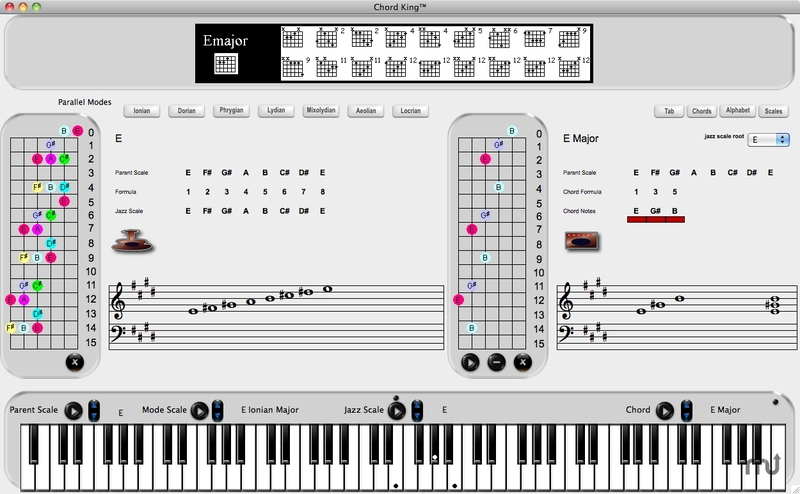 Chord King is an interactive program for learning musical chords, scales and jazz modes for the piano and guitar. Chord King will display correctly on a 1280x800 screen resolution and above. Chord King needs a review. Be the first to review this app and get the discussion started! Chord King needs a rating. Be the first to rate this app and get the discussion started!